Do you think PLM is doing good job to improve the quality of the data in your organization? How many data duplications you have? How many times your organization is using wrong data and as a result losing money? Who is in charge of data quality in your organization? These are my initial questions. I want to have your comments, and I’m going to think about blog about this topic in coming days/weeks. The average corporate dw is going to be 5 PB very soon. Some companies (eBay) already there. I am not a PLM user, but it would make sense to have adedicated team/department for data management. This trend takes place in many organizations (including DS) on the business side, I don’t see why engineering data management is different. The question could be is should there be one team or dept dedicated to both business and PLM data management? PLM has greatly helped in improving Data Quality (DQ) in implementations I have seen. From a state of chaos, duplication and redundency, information has been organized into a predefined, controlled and managed environment and PLM provides a perfect platform to do this. DQ is directly related to extent of meticulous planning and preparation in early part of PLM implementation. As companies expand globally, or do acquisition, or expand the foot print of PLM coverage witin the organization DQ is definitely has become an important factor to take care. Data quality can be improved significantly by adopting PLM but you must be careful not to delay benefiting from PLM by trying to fix legacy data you want to load into PLM. Decide what must be done before you go live and what can be done as you go or not at all. 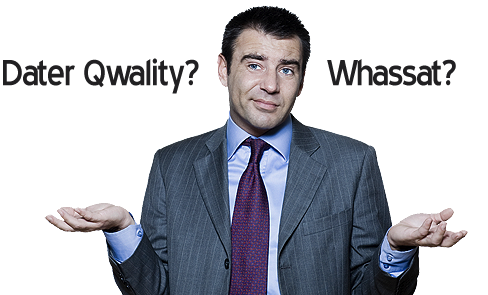 PLM helps most with data quality issues that arise internally. This is most true for systems that are integrated with PLM. Systems, even internal ones, that are not integrated will still have problems. What is most challenging is responding to external events. The biggest example is sourcing of purchased parts. Suppliers s change names or go out of business. Products go obsolete or are superseded. There are never enough resources to keep up with this manually, but the automated solutions are expensive and complex. this is an interesting set of questions you pose…in most cases, data quality within ERP/CAD systems is poor. So as a result, PLM inherits a mess, unless a lot of time is spent on cleaning up data (which is rarely done). As part of my implementations and data migrations, I have tried to clean up data as much as possible so that structured information within PLM can then start to contribute to efficiency gains. Since most of the implementations are initiated and managed by the engineering department, data quality is the last thing on their mind. Design quality and time to market is…Very often this falls on the IT / business analyst to clean up/manage as a hobby and not their job function.